Geometry classes, Problem 210. Triangle, Angles, Auxiliary Lines. 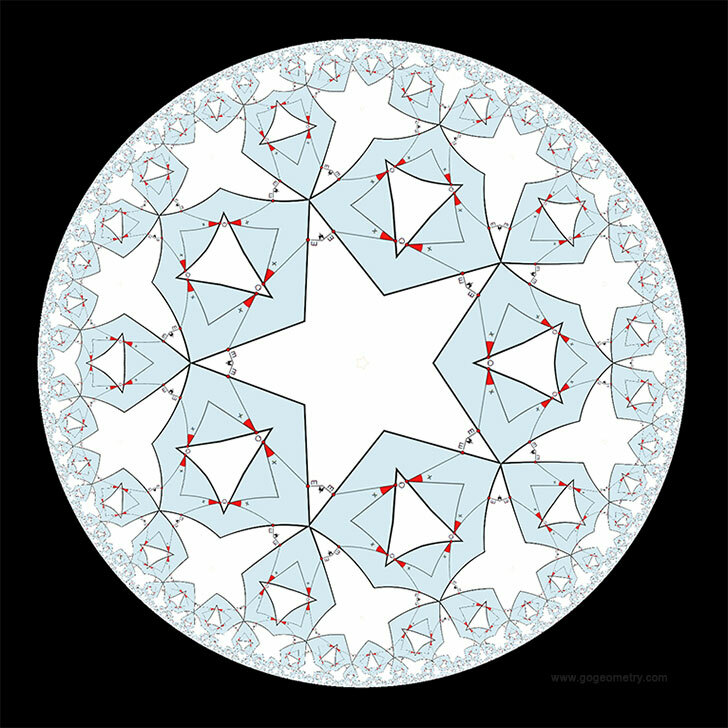 Geometric Art: Hyperbolic Kaleidoscope. Math teacher Master Degree. College, SAT Prep. Elearning, Online math tutor, LMS. In the figure below, given a triangle ABC, the measure of the angles ACD, BCD, and ABC are a, 3a, and 120 - 2a. If BC = CE, find the measure of the angle CDE.